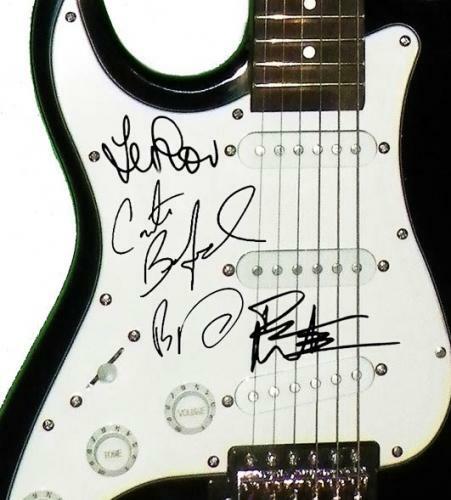 This Is A Full-Size Brand New Electric Guitar Featuring The Facsimile Autographs Of The Dave Matthews Band. Comes fully certified with Certificate of Authenticity and tamper-evident hologram. Also backed by HollywoodMemorabilia.com's Authenticity Guarantee.